Since Amazon is in the news these days …. In class, I always preached: Don’t underestimate the “power of free”. 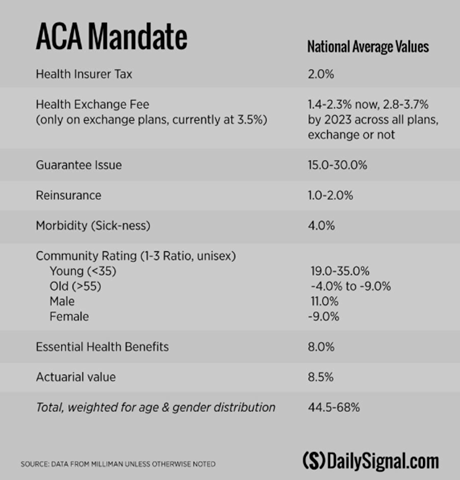 Since Dems are making ObamaCare a midterm’s election issue, let’s flashback to a prior post and inject some facts. In 2016 (Obama’s last year in office), employees paid $11,000 out-of-pocket for healthcare … up $2,500 since 2012. 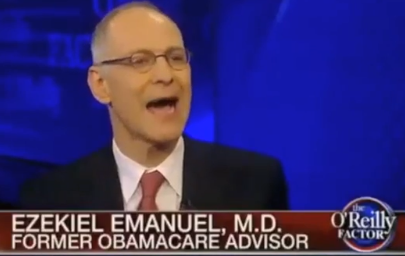 Remember when an ObamaCare architect called you stupid? Since Dems are making a big deal of ObamaCare in the mid-terms, let’s flashback to a November 2014 post …. Even if you believe that “the end justifies the means”, this has gotta make your skin crawl. Some background: Prof. Jonathan Gruber is an MIT economist who helped on RomneyCare in Massachusetts and was one of the primary architects of ObamaCare. He was caught on video speaking quite frankly about the crafting of ObamaCare. “The bill was written in a tortured way … to be sure that the CBO didn’t score the mandate as a tax … otherwise the bill would die … so, it was written to do that. With regards to the subsides … if people figured out that healthy pay in to give sick people money, it wouldn’t have passed … lack of transparency is a huge political advantage. Watch the video … it’s even more chilling to hear Prof. Gruber say the words: “obfuscate” and “bank on American stupidity”. P.S. Another Gruber video got some wide play..
ObamaCare supporters started claiming that it was just a typo that didn’t represent intent. The Supreme Court agreed with them … with life & death consequence for ObamaCare. Liar, liar … pants on fire. What’s worse, lots of inconsequential lies … or a a couple of consequential ones? As a Catholic kid, I was taught about the difference between venial sins and mortal ones. The former are naughty-naughty … destining you to a few years in a holding tank before admittance to perpetual bliss in heaven. The latter – mortal sins – are bad-bad … guaranteeing you that you’ll get banished to the fires of hell. That lesson comes to mind when former President Obama adopts his trademarked holier-than-thou persona and lambasts current President Trump as a congenital liar. Trump threatens to make Congress live by the laws they pass …. Starting with Congressional ObamaCare carve-outs. It’s no secret that I get annoyed every time Congress passes legislation that provides that it doesn’t apply to them. See Should lawmakers (and regulators) have to eat their own cooking? The past couple of weeks of Repeal & Replace has been annoying along several dimensions. Foremost, all of the chatter has been about health insurance, not healthcare … just fiddling with who is going to get stuck paying … moving nickels around. 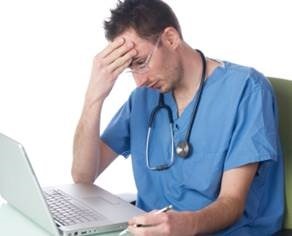 Woefully little talk about how to improve healthcare delivery. That’s not surprising since the Senate’s fillibuster rules require 60 votes to pass any legislative action. 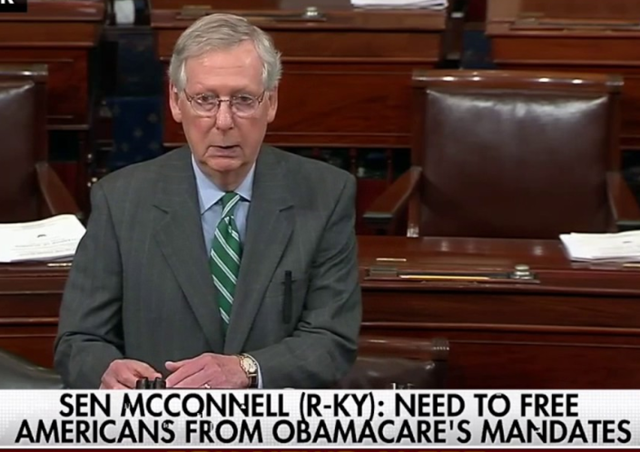 Keep in mind that Obama had 60 Senate votes in 2009 and 2010 … thanks to the DOJ sidelining Ted Stevens and Al Franken pulling a narrow upset in a disputed election. Today, there are 48 Dems who reliably vote in lemming-like lockstep against anything the GOP proposes. Even if centrist Dems were to band together with moderate GOPs, the middle-of-the-roaders wouldn’t have enough votes to get a sensible proposal enacted. It would be squashed by either the ultra-conservatives or the ultra-liberals. So, the GOP-controlled Senate has its hands tied … it has to work through the “reconciliation” process which, by definition, just moves nickels around. Wonder why it’s so hard to untangle ObamaCare? Here’s a (scary) chart that puts the program in context. Here’s a link to enlarged version and another to a summary that decodes the chart and lists some of the bill’s key provisions. All the repeal & replace attention seems to be on the 20 million people who are getting insurance via Extended Medicaid or ObamaCare Exchanges. The expansion of “free” and near-free healthcare to approximately 15 million currently uninsureds (out of about 45 million uninsured citizens) is – to a large extent – being funded by the working middle class. Case in point: the net insurance premiums paid after subsidies on the Obama Exchanges. 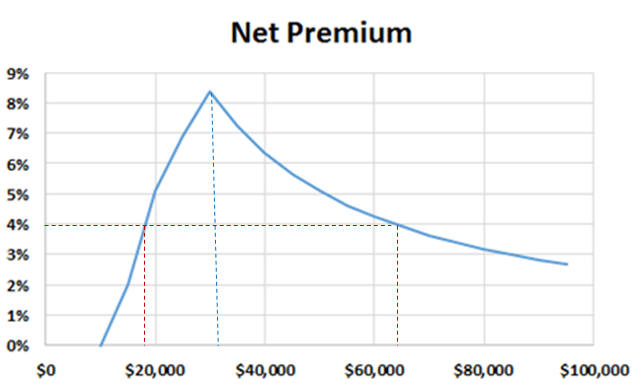 Using the Kaiser Foundation subsidy calculator , I picked off the net premiums for single, non-smoking 25 year olds across a range of incomes … and calculated the net premium as a percentage of income. And, those folks reside in the middle class ! I assumed that it would be a typical NYT pro-Obama pitch about how ObamaCare wasn’t a redistribution of wealth … that it was simply a well-intended effort to improve the wasn’t a redistribution of wealth … that it was simply a well-intended effort to improve the health care system by providing universal insurance coverage. The article put in black & white the “truth” that, at it’s core, ObamaCare is a wealth distribution scheme with both winners and losers. Here are the killer quotes …. 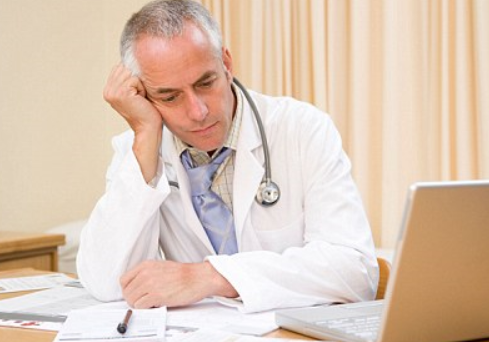 Did ObamaCare exacerbate a shortage of doctors? Answer: Of course it did … it’s simple arithmetic. 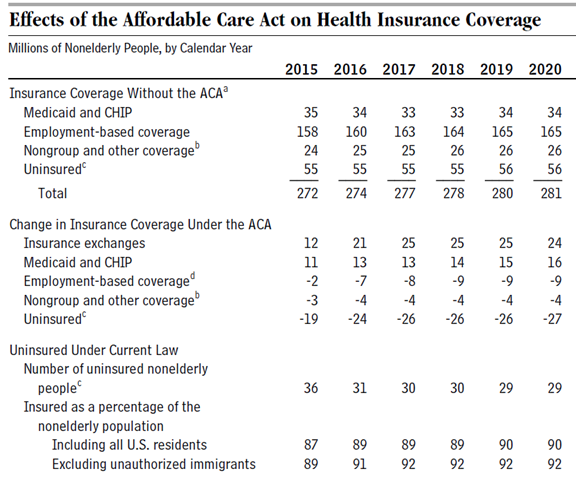 In yesterday’s post, I concluded that ObamaCare increased the demand for healthcare by providing health insurance to 20 million previously uninsured Americans … but that ObamaCare didn’t increased the aggregate amount of healthcare that Americans are getting. 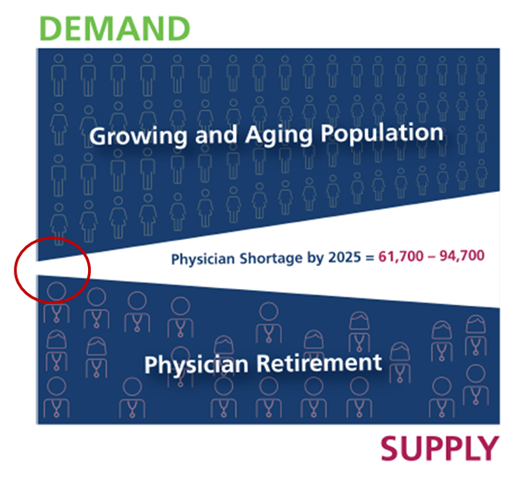 It’s a zero sum game … previously uninsured people are getting more healthcare … previously insured people are getting less healthcare … and total healthcare delivered is staying about the same. I got a few questions about the incremental doctor shortage created by ObamaCare, so I pulled together a quick & dirty estimate. 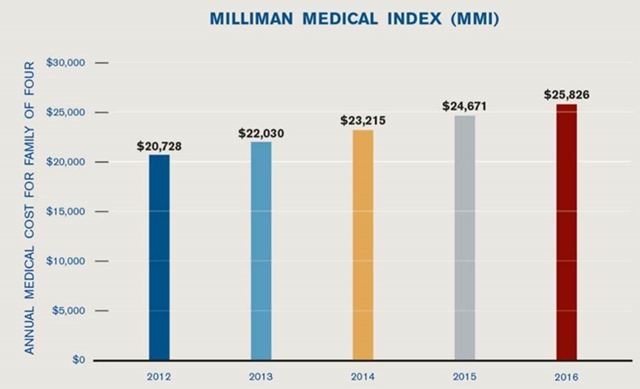 How much did ObamaCare increase premiums? ObamaCare survived … so did the higher (and increasing) premiums we all pay. Previously, we posted: Here’s the main reason why YOUR health insurance premiums have gone up. The biggest chunk is, in fact, attributable to guaranteed issue … which the DS pegged between 15% and 30%. Our prior observation: almost everybody agrees that people with pre-existing conditions should be able to get coverage … but virtually no one realized that they were paying (much) higher premiums to provide that “social good” … especially since they were told that their premiums would go down by $2,500. See Remember how healthcare costs were going to drop by $2,500 for every family? 1) The EHBs – the controversial “Essential Health Benefits” mandated into all policies – increased premiums by about 8%. 2) “Community Rating” – which equalized premiums for men & women and contained old folks’ premiums – really increased premiums for the under 35 crowd by 19% to 30. No wonder the young healthies were reluctant to sign up. Senator: “We didn’t think ahead” … and consider ramifications. From the get-go, I’ve questioned the “wildly popular” ObamaCare provision allowing “adult children” to say on their parents’ health insurance policies until they’re 26. First, it removes a significant source of motivation for adult-children to get a job. In the old days, parents encouraged their college kids to get a degree that might just qualify them for a paying job. Unfocused, impractical exploration wasn’t a viable option for most families. And, in the old days, parents used to nudge their kids to land jobs with benefits (not the same as “friends with benefits”) that included “hospitalization” … the old school name for health insurance. Second, as we’ve posted before, due to the weird insurance pricing schemes that let all except a family’s 1st child ride free on their parents plans, an adult-child rides completely free unless he-she is the family’s only covered child. I don’t like these kinds of hidden cross-subsidies. On this point, an insurance buddy of mine advised me to settle down since these adult-children are generally healthy and don’t consume much medical care. It’s center stage in the current debate. So, I dug in a bit to understand the issue. Here are my takeaways …. Let’s flashback to a November 2014 post …. Watch the video … it’s even more chilling to hear Prof. Gruber say the words: Obfuscate and bank on American stupidity. 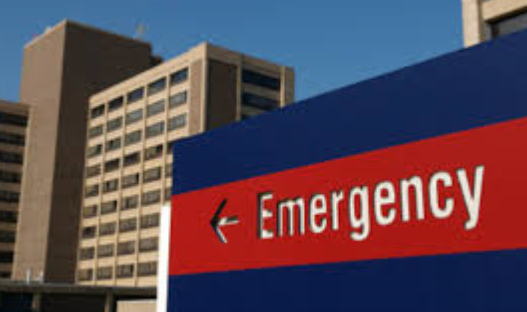 There are 3 Americas (not 2) … thanks to Obamacare. 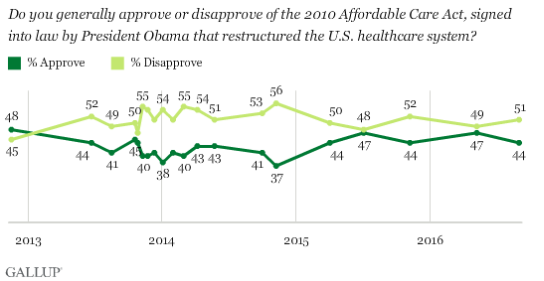 Last week, we reported that — according to Gallup — ObamaCare is under water by 7 points (51% to 44%) … and that 29% think their families have been hurt by ObamaCare versus 18% who think that their families have been helped). In other words, the disapproval is grounded in the program’s fundamentals. One group, the rich, can afford health care easily. The poor can access public assistance. We concluded that in 2016, employees will pay $11,000 out-of-pocket … up $2,500 since 2012. “Employees” … you know the working class … the middle class. Here’s the essence of our original post …. worth re-reading …. glad others are catching up to it. What if Trump governs like Obama? President Obama seems determined to leave office ungracefully … spending his lame duck time igniting a steam of transitional stink bombs to welcome the President-elect. Or, as pundits like to say (when somebody other than Obama is doing it): “taking unprecedented unilateral action”. Those who are gleefully cheering him on, should keep in mind that what goes around, comes around. Some day, Trump may be in a lame duck period with a Dem president-elect ready to launch. When he starts complicating life for the president-to-come, today’s cheer squad will have no legitimacy to whine. Obama’s recent power plays reminded me of a “must read” opinion piece in the Washington Post archives. Turley has long been warning that Dems may think it is clever and appropriate when Obama circumvents the Congress and courts to implement his partisan policies, but that they should be forewarned that what goes around, come around. Democrats have supported President Obama’s claims of unchecked authority in a variety of areas. Obama has been particularly aggressive in his unilateral actions. From health care to immigration to the environment, he has set out to order changes long refused by Congress. Thrilled by those changes, supporters have ignored the obvious danger that they could be planting a deeply unfortunate precedent if the next president proves to be a Cruz or Trump rather than a Clinton. While the policies may not carry over to the next president, the powers will. The Obama model will be attractive to successors who, although they may have a different agenda, have the same appetite for unilateral decisions. 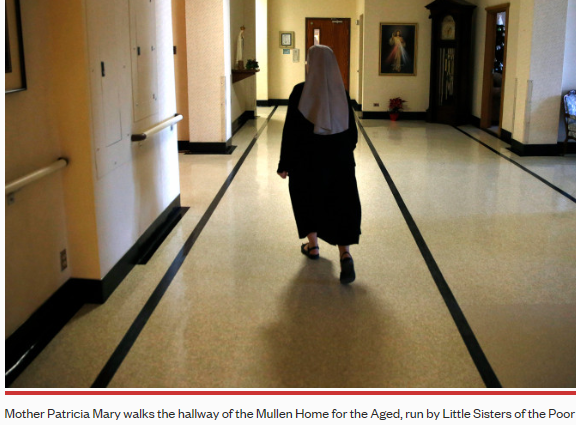 Remember when the Obama DOJ decided to go after the Little Sisters of the Poor? Looking back, it may have been a defining moment for some folks. Going after the Little Sisters, though, was a visible, and mobilizing metaphor. When I heard the news report, I thought it was a joke. THE LITTLE SISTERS OF THE POOR. Not just nuns, “little” nuns. Not just little nuns, little nuns who dedicate their lives to God and spend every waking hour praying or caring for the poor. Not just little nuns who care for the poor, little poor-caring nuns who are, on average, probably about a hundred years old. These are the nuns who are literally icons for the helpless. So much so that weak sports teams – like those on Georgetown’s early season basketball schedule — have forever been referred to as representing The Little Sisters of the Poor. Those Little Sisters of the Poor. Flashback: What if Trump gets elected and acts like Obama? There was a “must read” opinion piece in the Washington Post . Thrilled by those changes, supporters have ignored the obvious danger that they could be planting a deeply unfortunate precedent if the next president proves to be a Cruz rather than a Clinton. Unfortunately, it has bent it up, not down. Hillary’s lucky that the MSM is burying ObamaCare coverage, so she can continue to tout it as a resounding success. Remember how ObamaCare was going to save each family $2,500? Well, turns out to be just the opposite. 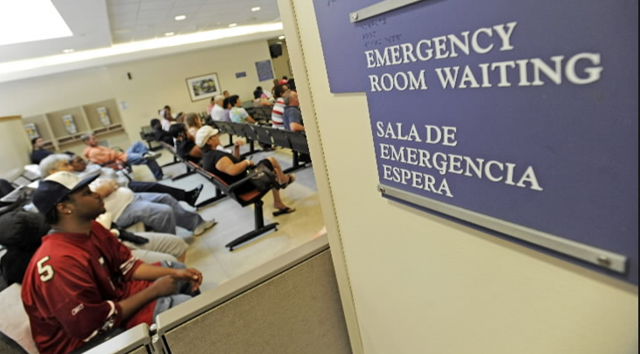 According to Federal Reserve data, once the full program kicked in, real personal healthcare expenditures — the “net total” of insurance premiums, deductibles and other out-of pocket spending, adjusted for inflation — has turned up, not down. Who is Dr. John Gruber? Trump referenced him in the debate as an ObamaCare architect. P.S. Another Gruber video will get wide play in the next couple of months. Now, ObamaCare supporters are claiming it was just a typo that didn’t represent intent. Well, the Supreme Court has signed on to settle the matter … with life & death consequence for ObamaCare. Here’s our original post …. worth re-reading …. glad others are catching up to it. In 2016, employees will pay $11,000 out-of-pocket … up $2,500 since 2012. What if Trump gets elected and acts like Obama? Now that it looks like Trump will be the GOP candidate. it’s time to reprise a “must read” opinion piece that appeared in the Washington Post a couple of months ago. Turley has long been warning that Dems may think it is clever and appropriate when Obama circumvents the Congress and courts to implement his partisan policies, that they should be forewarned that what goes around, come around. There was a “must read” opinion piece in the Washington Post last weekend. Here’s a real life example of the power of free. Would your boss fire you if your project underperformed plan by 50% ? Answer: Apparently not if your boss is President Obama … and your project was ObamaCare. In a conference call with reporters last week, HHS Secretary Sylvia Burwell said “We believe 10 million is a strong and realistic goal” for 2016 enrollment in ObamaCare Exchanges. That represents an increase not significantly different from zero. Let’s put that number in context … and show how performance against plan is even worse than it initially appears. 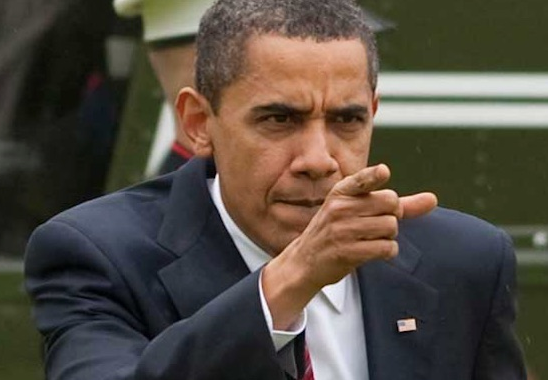 Obama: Against mumbo jumbo … say, what? Yesterday, we commented on the majority rule part of the teaching moment …. pointing out that “acting on behalf of the majority” didn’t seem to be important for ObamaCare or the Iran Deal. Perhaps the President has had a change of heart re: the will of the majority. Or he, himself, may be spewing some mumbo jumbo. Today, let’s dig a little deeper on the basic premise behind his call for action on stricter gun laws: a majority of Americans favor such a move. Today, we’ll just deal with the last part: acting on behalf of the majority. First, I was pleased to hear the President come out in favor of majority rule. A couple of notable examples suggest that it’s a change of heart. Let’s start with his Iran Deal. According to a Quinnipiac University poll …. Looks like a majority to me. A sizable majority. 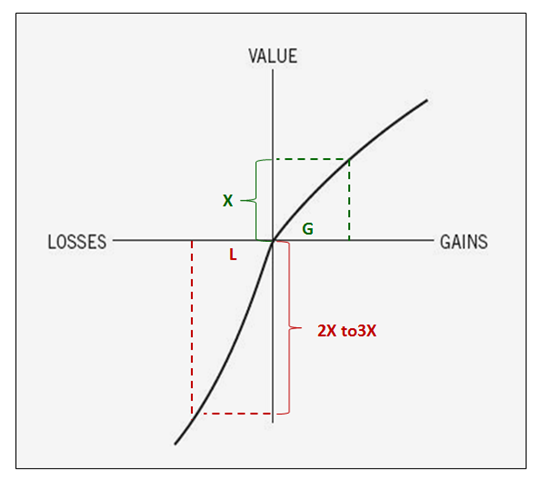 Or, how about my predictable, favorite example …. Everybody must have their favorite moments from the Pope’s visit. I got a kick out of this one since the men — who were totally in sympatico re: climate change change — didn’t flinch at the notion of burning a couple of hundred gallons of jet fuel. What could possibly beat that ? Mainstream media continues to tout the success of ObamaCare … always focusing on the number of previously uninsured folks who now have insurance. 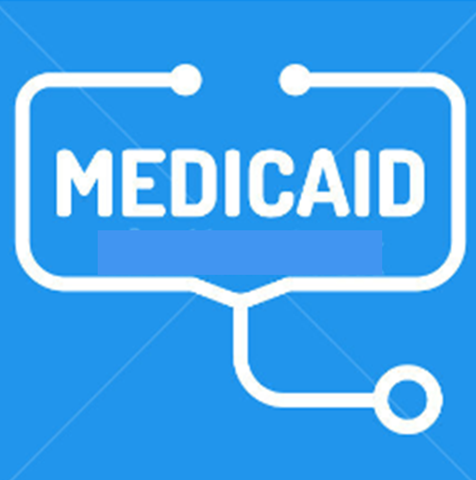 Most recent CBO numbers say that about 19 million previously uninsureds now have insurance – mostly from Medicaid and subsidized ACA Exchange policies. Now, about 80% of the non-elderly population is covered … but, about 36 million are still uninsured. Said differently, over half of the previously uninsureds are still uninsured. 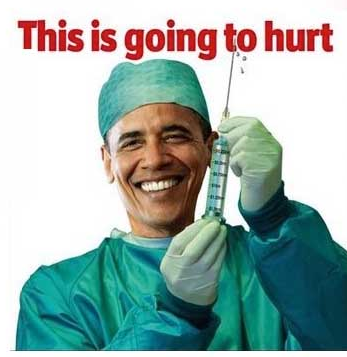 ObamaCare added about $100 billion in annual government spending . So, the cost per newly insured person is roughly $5,000 per newly insured person per year. That sounds about right since an average individual health insurance policy is about $5,000 per year. OK, so what’s the rub? Some simple arithmetic suggests that the aggregate monetary amount of insurance provided to the full population of non-elderly citizens has actually declined.